East and North-East Asian (ENEA) economies have come to play an increasingly important role in foreign aid regime over the past couple of decades. First, they are key providers of development assistance; and second, their development experiences and strategies continue to shape the landscape of development cooperation in the Asia-Pacific region and beyond. 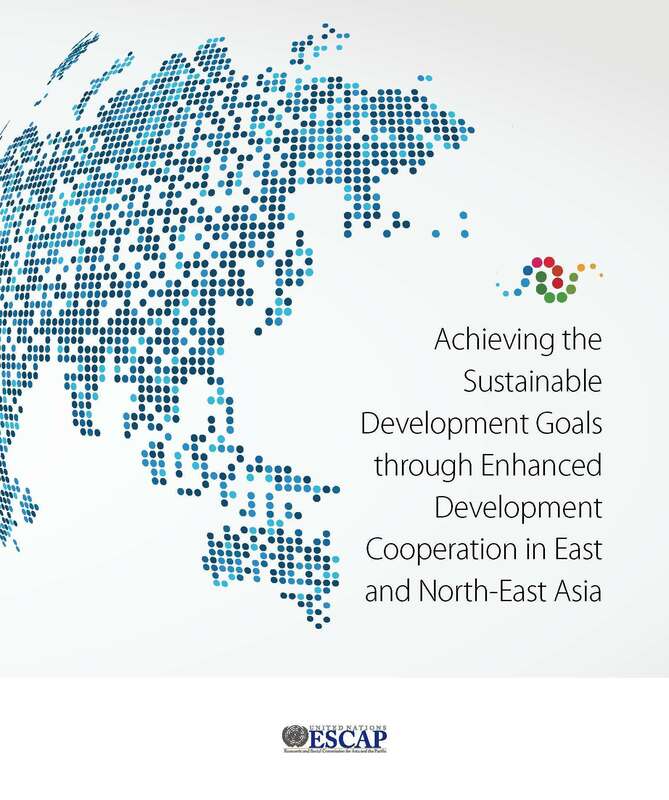 This report addresses: (1) global and regional trends and opportunities on development cooperation; (2) ENEA experience in development cooperation; (3) issues and challenges of development cooperation in the subregion; and (4) enhancing development cooperation to achieve sustainable development. First, the evolving landscape of development cooperation underscores the need to scale up resources amidst financial constraints. It also highlights the increasing complexity of delivering aid (beyond financial resources including technology transfer and capacity development) and the need to ensure that aid is delivered where it is most needed (e.g., small island development states (SIDS), least developed countries (LDCs) and landlocked developing countries (LLDCs)). Second, the varying experiences of the ENEA economies – most notably, their transition from being recipients to donors - could provide important lessons in development. For instance, the focus on sharing economic development models and experiences evolved when the diplomatic relations between Japan and the Republic of Korea were restored in the 1960s, and a large volume of Japanese aid was disbursed benefitting the insdustrialization strategy and economic development in the Republic of Korea. From the early 1980s through the mid-2000s, Japan has provided at least half of China’s bilateral official development assistance (ODA). As aid came with increased trade and investments from Japan, China began to take an active role in determining the use of aid funds. Learning from subregional experiences and modalities such as knowledge-sharing platforms, capacity-building, south-south cooperation, and triangular or trilateral cooperation, could bring forward complementarity and enhanced effectiveness and efficiency in development cooperation. Third, even with the best practices emanating from the subregion, there are issues and challenges that deserve attention, including how to: improve effectiveness in development cooperation, increase transparency and data availability, address the bias towards economic sector – all of which were compounded by a lack of institutionalized subregional cooperation mechanisms. Finally, amid similarities and differences in policies and approaches towards aid - and more broadly, development cooperation - ENEA economies commonly express their explicit support and commitments for the implementation of the 2030 Agenda for Sustainable Development (2030 Agenda) — through strengthening the means of implementation and revitalizing the global partnership for sustainable development (SDG 17). International and regional cooperation in this regard cannot be overemphasized. Active and open engagement and coordinated response of all development cooperation actors in making institutional reforms, undertaking fit-for-purpose initiatives, and achieving consensus on effective development cooperation are crucial. As ENEA economies are poised to exercise regional and global leadership in terms of the means of implementation of the 2030 Agenda, they must go beyond the scaling up of their development assistance. It is important to jointly mobilize their contributions to the implementation of SDGs through national measures, subregional cooperation, and regional cooperation , and enhance development cooperation through knowledge- and information- sharing, mainstreaming SDGs, focusing on social and environmental dimensions as aid priorities, promoting multi-stakeholder coordination and cooperation, and adoption of good and innovative practices and approaches (e.g., blended financing and social impact investing).